Nothing is more important to our nation’s future than ensuring the financial stability of individuals and families across America. 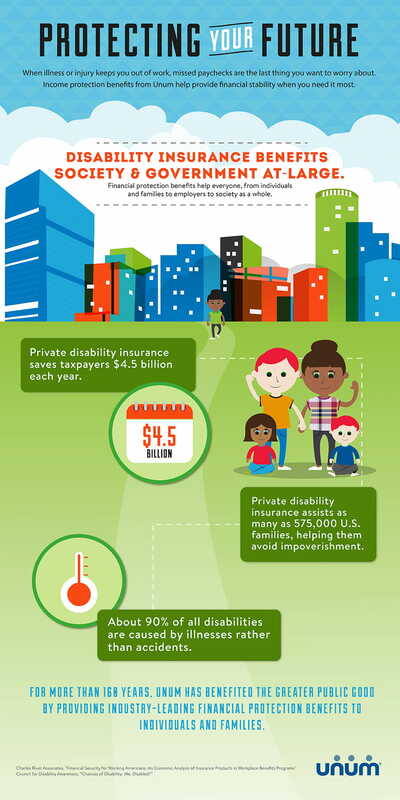 In an economic analysis conducted in 2011, Charles River Associates concluded that access to disability insurance in the workplaces saves as many as 575,000 families a year from slipping into poverty, saving the government and taxpayers up to $4.5 billion per year in public assistance costs. Increasing the availability of income protection benefits is a critical step in creating a social safety net for American workers. Two-thirds of American workers do not have access to employer-provided disability income insurance. 85% of disability beneficiaries agree that employers should automatically enroll new employees in disability insurance, allowing them to opt out of this coverage if they do not want it. More than three-quarters of workers (78 percent) are living paycheck-to-paycheck to make ends meet.